Should You Put Protein Powder in Coffee? You are here: Home / Blog / Should You Put Protein Powder in Coffee? Protein powder has become a common tool for weight loss and for muscle building. At the same time, it is simply an effective way to get more protein, especially for people who don’t normally get enough. But, what about coffee? Can you put protein powder in your coffee? And, more importantly, should you? After all, the practice might sound like an odd one – especially if you’ve never heard of it before. But, there are some definite advantages to doing so and this post will show you why the idea is worth seriously considering. As a general rule, protein is good for health. It’s an essential component of many biological processes and structures, which includes playing a key role in muscle growth and maintenance. Yet, despite this, protein often gets a bad rap. People often feel that too much protein will cause health issues, despite the lack of evidence that supports this claim. Realistically, getting enough protein is critical and there is evidence that many people need more protein than they are currently consuming. This aspect alone is a key reason that you might include protein in your coffee. But, there are also other advantages to doing so. On their own, protein powder and coffee are both good components of a healthy diet and can promote health benefits overall. With protein, some of those advantages include preventing the loss of muscle mass (1,2), building muscle (3,4,5), recovery (6), promoting good bone health (7,8) and lowering blood pressure (9,10). As Dr. Axe highlights, there are also significant negative impacts of protein deficiency. At the same time, including protein in your coffee means you’re getting all of the health advantages that coffee has to offer. I know, I know – coffee is often seen as an unhealthy habit. But, that simply isn’t true. Instead, research has consistently shown a wide range of health benefits of coffee, including the ability to fight inflammation and to act as a source of antioxidants. At the same time, both coffee and protein can play a key role in weight loss. In the case of protein, this effect occurs partly because protein is filling, which may reduce how much food you eat (11,12,13). At the same time, protein can help to lower cravings for food (14,15), while offering some metabolic improvements as well (16,17,18). For coffee, the underlying mechanisms are different, although some of the effects are the same. After all, it’s no secret that coffee helps to suppress the appetite. That’s a key reason that many people drink it – especially anyone on an intermittent fasting approach. Observational research also suggests that people who drink coffee regularly tend to weigh less, on average, than those who don’t (19). There are also other biological mechanisms for this effect, such as the potential for compounds in coffee to lower fat accumulation and improve the metabolism (20,21). Research has also indicated that caffeine can support weight loss. With both coffee and protein helping in similar ways, it’s clear that combining the two has amazing potential for anyone who wants to lose weight. For many people, drinking coffee first thing in the morning is normal. But, having protein powder as well may not be. If that’s the case, adding the powder into your coffee would increase your potential to build muscle – especially if you tend to work out in the early morning. After all, the association between muscles and protein is very clear. Plus, if you’re exercising without having enough protein, you’re likely to be limiting your potential to develop muscle. Including protein powder in hot coffee can also significantly help with the flavor of your coffee. In some cases, it could even act as a replacement to sweetener and/or creamer. Doing so will often be more powerful than using sugar or creamer, especially as protein powder offers considerably more health benefits. At the same time, many options for protein powder are flavored, which may make them particularly effective in this role. For all its benefits, using protein powder in coffee can still seem strange, partly because protein powder doesn’t mix into coffee particularly well. However, there are some approaches that you can use to make this work better. More than anything – the problem is that protein powder (particularly whey protein powder) doesn’t dissolve well in hot liquids. Instead, it will tend to clump and create something pretty unappealing. The way around this is to mix the protein powder with something cold first. Cold water can work, as can cold milk (including alternatives like almond milk). Which you choose is likely to vary depending on your own preferences and diet approaches. You can also see a few different techniques in the video below, which can all work for getting protein in your coffee. The Whey Protein Institute also has useful information about adding protein to coffee effectively, including photos of the process. One trick is to add other ingredients to help the powder blend easier. For example, Vega (which makes a range of Vega protein powders) recommends using coconut or almond milk in addition to the powder and coffee. Another variation is to use coconut oil in addition to the other ingredients. By doing so, you end up with something similar to Bulletproof coffee and get the benefits of coconut oil as well. You could take that process one step further and use MCT oil, if you wanted to. Some people also take the simple way out, which is to make a protein shake, add their cup of hot coffee into it and then shake the whole thing. 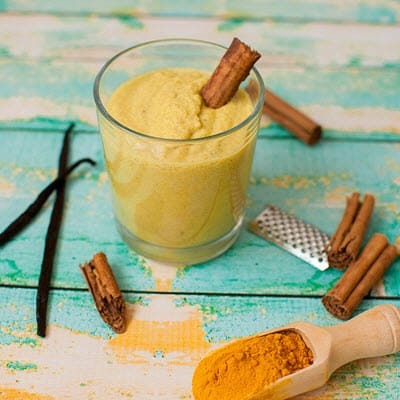 The end result is basically a warm coffee/protein smoothie, rather than a hot cup of coffee – but seems to be a popular idea. And, of course, you don’t have to put protein powder in hot coffee either. Instead, many people take the idea the other way around – and add coffee to a protein smoothie. Doing so isn’t quite the same, of course, and doesn’t help if you specifically want a hot drink in the morning. But, if you’re already using protein smoothies, then adding coffee into it can be a great way to get the various benefits discussed above. Plus, there are countless amazing recipes for doing so. If you’re interested in that idea, a good direction is to look for recipes for mocha protein smoothies, as these will typically contain both coffee and protein. There are many examples of this on Pinterest, along with sites like Men’s Fitness. Some Redditors also suggest simply adding protein powder to cold brewed coffee and shaking it up. For that matter, including protein powder in cold coffee actually as advantages, as there is much less chance of the protein clumping. As well as the method, you also have to think about which protein powder you choose. There are many different brands out there and these have their own advantages and disadvantages. The sheer number of options can make the choice feel somewhat overwhelming, especially as many of the products are similar to one another. Looking at the nutritional breakdown of protein powders can help somewhat, but this won’t tell you anything about how protein powders behave in coffee. In many ways, the answer depends on what you’re looking for. For example, if you’re trying to limit your carbohydrate intake, then you’ll need to pick a low carb protein powder. These are also good if you’re trying to avoid sugar, as they typically use no sweetener or a natural option like stevia. On the other hand, a person on a vegan diet is going to want a plant-based protein powder. The brand Orgain Organic is one good option if you’re looking for a mixed protein source. 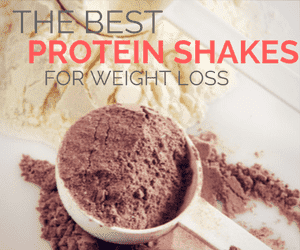 But, be aware that this type of protein powder can sometimes be more difficult to blend, so it might take longer to find an approach that works. One particularly interesting choice might be Naked Whey. Unlike most, this brand has a strong focus on being as pure as possible, which means there are no flavors, colors or sweeteners to worry about in their unflavored version. You can also go with a brand like Gold Standard Whey if you’re looking for a decent product at a reasonable price. One other consideration would be flavor and this strongly comes down to personal preference. So, if you wanted your coffee to taste mostly like coffee – you’d want an unflavored protein option, like the Naked Whey from above. Unflavored protein powder is less common than flavored but a decent number of brands do have this type of protein powder. Alternatively, you may want flavored protein powder. Doing so would offer additional taste variations, such as a mocha-type coffee. Flavored powders tend to be particularly popular for anyone who is making protein smoothies, rather than including protein in hot coffee. However, one thing to mention is that flavored options will contain more ingredients and potentially more chemicals. There are some debates about negative impacts of using your protein powder in this way. The most significant of these is the potential for coffee to affect the protein itself or your absorption of it. For example, some people argue that the hot coffee may denature some of the protein or that the caffeine impacts absorption. First of all, there isn’t any significant evidence that caffeine will limit absorption. And, realistically, with how much caffeine most of us consume regularly, such a relationship would be clear if it existed. Additionally, if caffeine (or coffee) did limit absorption, the effect is probably minor. With that in mind, you’d still be getting a decent amount of protein. As for the heat denaturing protein, this could happen to a degree. But honestly, protein denatures in many different contexts. Just think about cooking steak, as an example. The temperatures there are much higher and you still end up with a significant amount of non-denatured protein at the end. Coffee isn't nearly as hot, so there would be less denaturing overall. So, you’d still get most of the protein intact and more than enough to make the process worthwhile. And, even the protein that is denatured still offers you some benefits. After all, our bodies denature protein during digestion anyway. Finally, evidence suggests that whey protein is particularly resilient and can withstand heating, which is something that Sean Nalewanyi also highlights. As a result, whey protein works best if you want protein in coffee and it is a powerful source of protein overall. Including protein powder in your coffee is a powerful technique, one that is isn’t as popular as it could be. There are multiple different ways to do so, but in the end you do get the health benefits of coffee and protein within a single enjoyable drink. Regardless of the approach you take, the combination of coffee and protein powder will always involve a little trial and error. Realistically, the various protein powders often behave differently from each other and some will dissolve much better in coffee. The taste of the final drink will also vary considerably depending on the powder that you use. As a result, you may need to try multiple recipes and/or powders until you find a combination that works for you. And, of course, the idea may not work for everybody. For example, the addition of protein would break the fast for anyone following an intermittent fasting approach. Others may simply not need extra protein in their diet, especially if they are following a relatively high protein diet or are carefully managing protein levels for ketosis. Still, for everybody else, protein in coffee is an interesting idea and one that is worth trying out for yourself. If nothing else, it is a different approach for getting nutrients and you may find that the end result is amazing. fyi… my Orgain Organic Superfoods powder blended beautifully into my morning coffee!